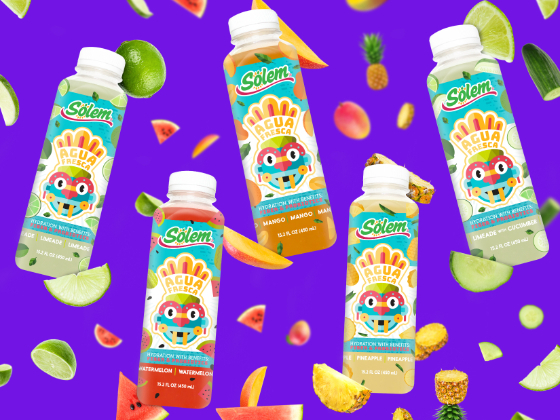 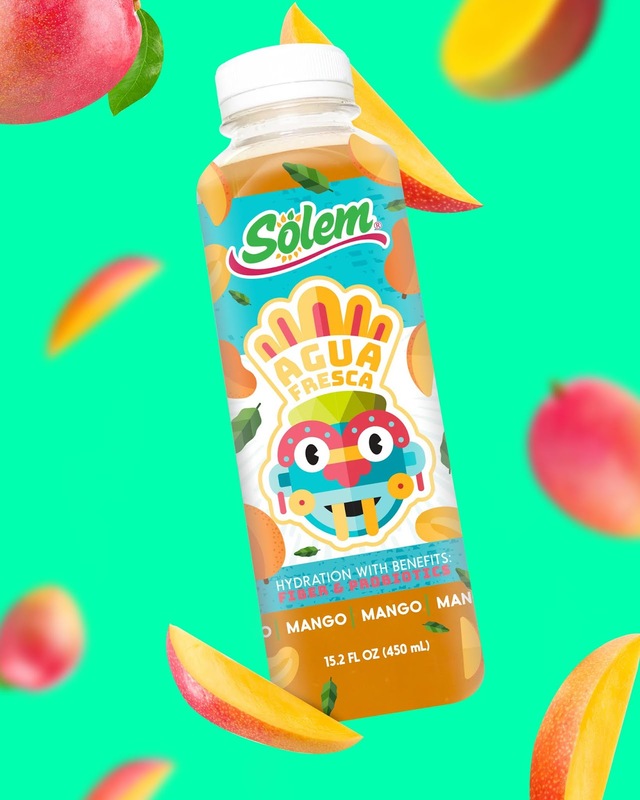 The opportunity for Solem Agua Fresca’s US launch was to create a fresh and strategic brand positioning complete with reimagined packaging. 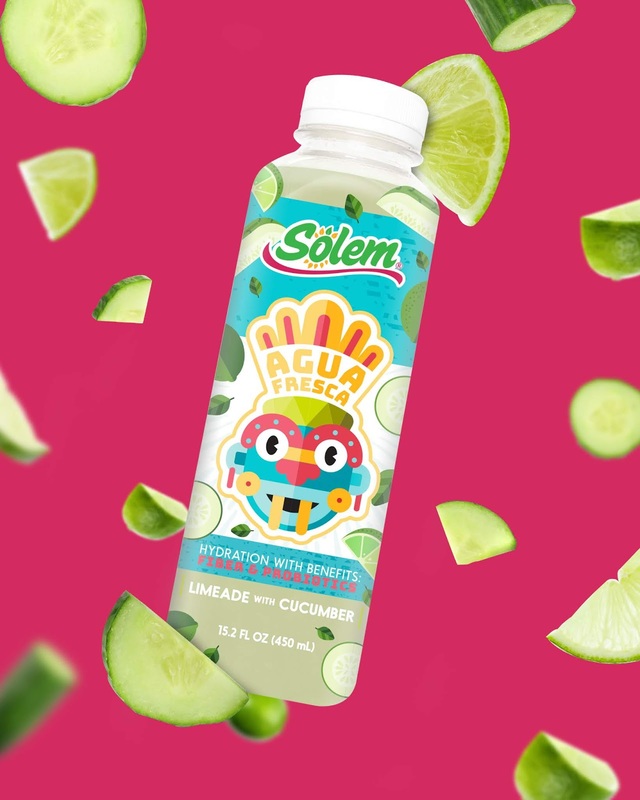 As the foundation for our positioning, we crafted a compelling brand story introducing a new brand mascot “Tlaloc” as the Aztec god of water and abundance. 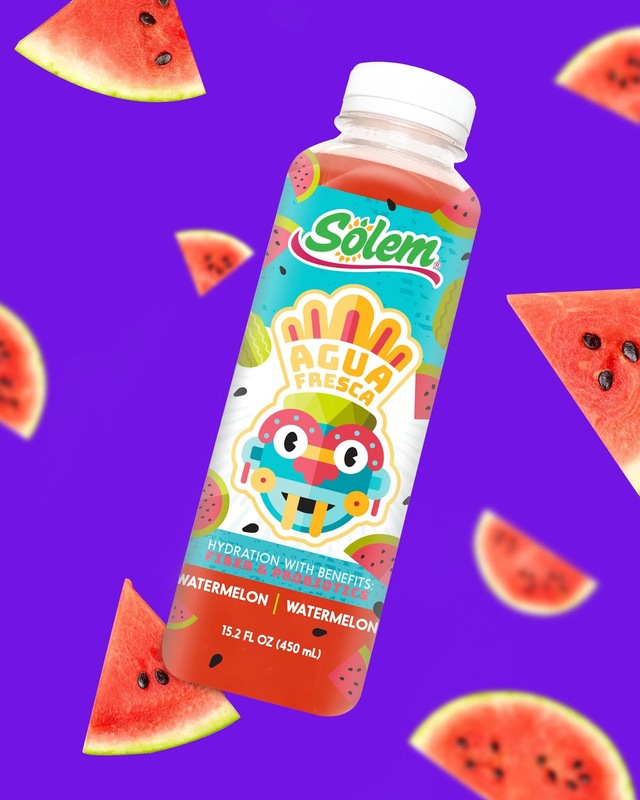 Tlaloc connects the deep tradition of Agua Fresca in Mexico with compelling, refreshing and fun graphics that own the shelf and entice consumers. 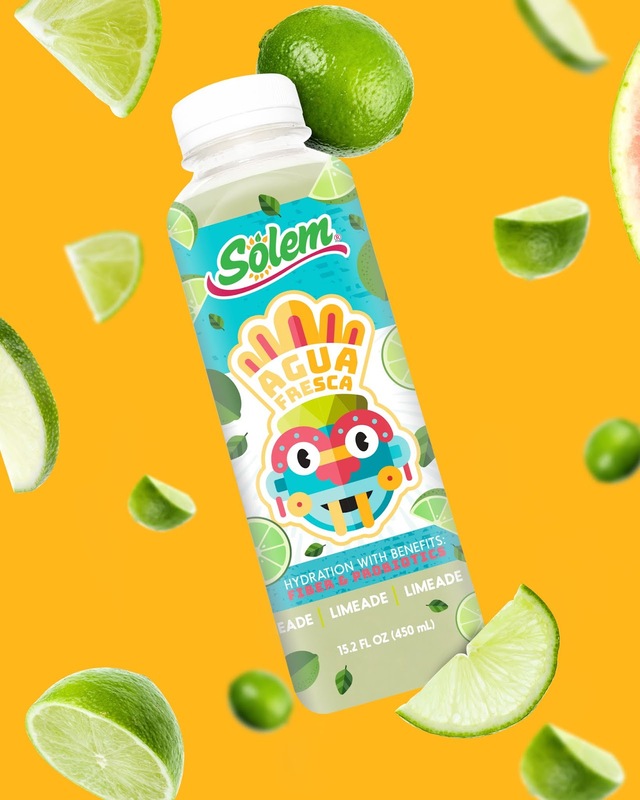 The new positioning is celebratory, inspiring, and deeply rooted in Mexican heritage. 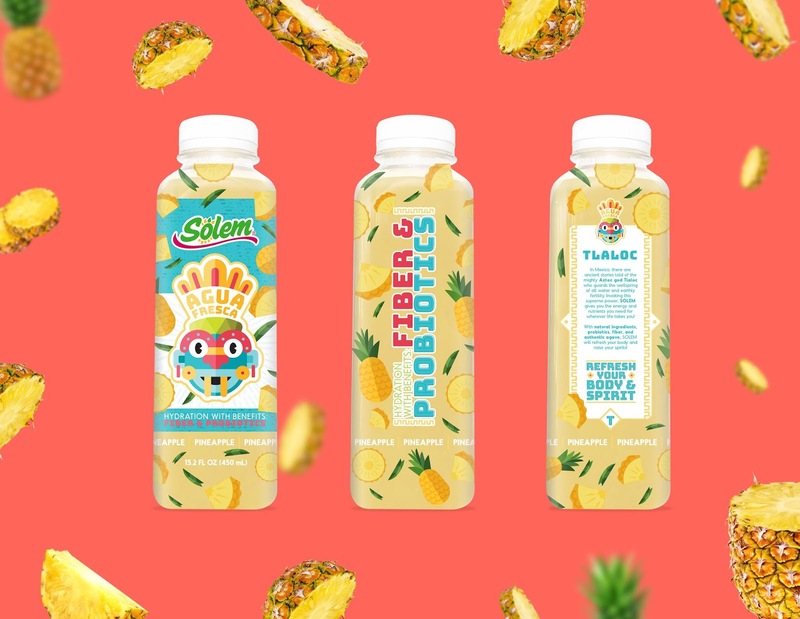 The front panel of this unique package employs full coverage printing for maximum brand impact. 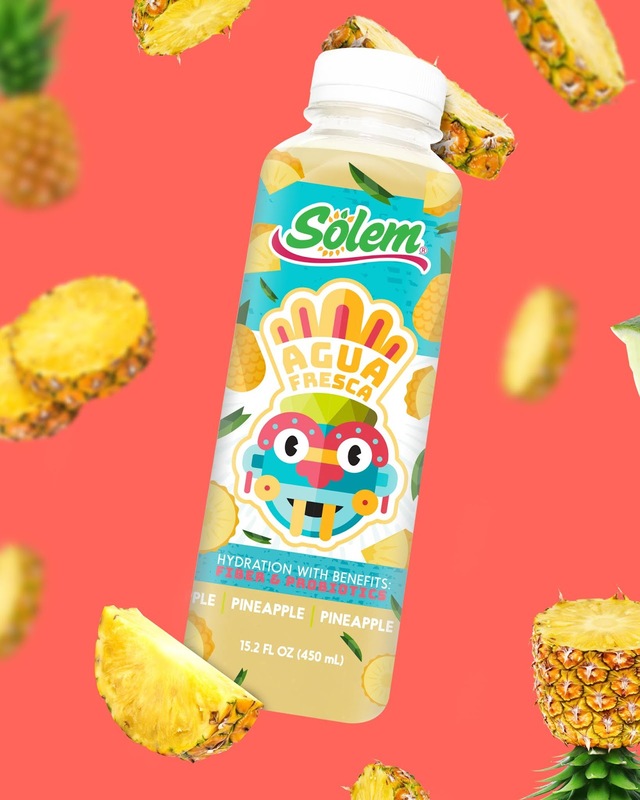 The rest of the bottle design remains mostly transparent to showcase the vibrant flavors and natural textures of this fresh and authentic product.